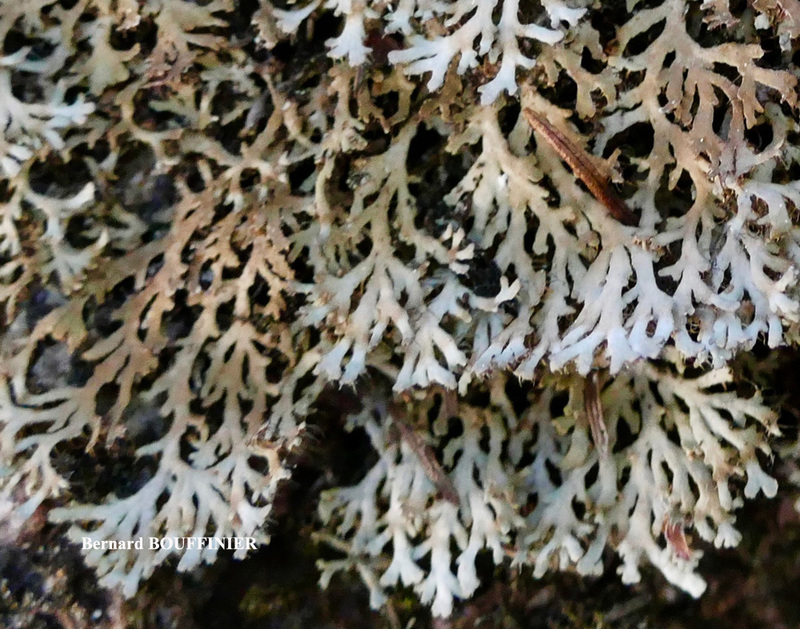 Pseudophyscia aquila var. corsica ( Müll. Arg.) Harm. ? 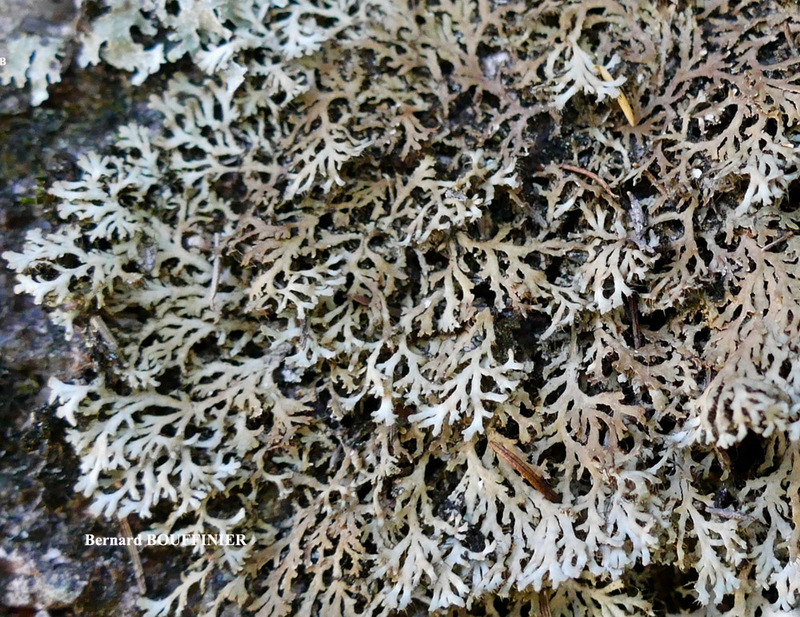 Thallus loosely attached to the substratum, composed of long and narrow strap-shaped lobes, flat or slightly convex, highly branched and divided, notably towards apices, upper surface matt, pale brown-olive when moist and pale greyish or whitish when dry, slightly turning to pale brown from the base when old, lower surface pale grey with simple rhizines. Sterile. 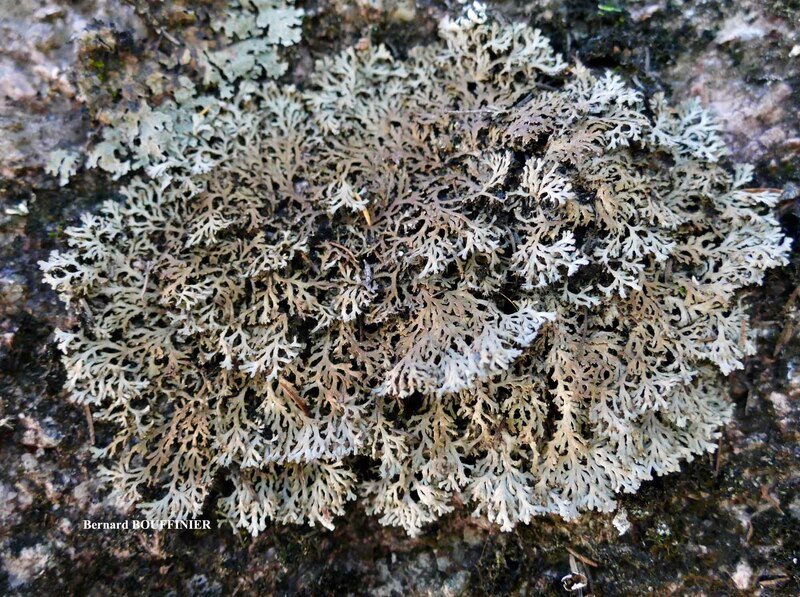 Rare, in Corsica, on bark of deciduous trees, seldom on mossy rocks in woodlands near the sea or in nearby wooded hills under oceanic influence. 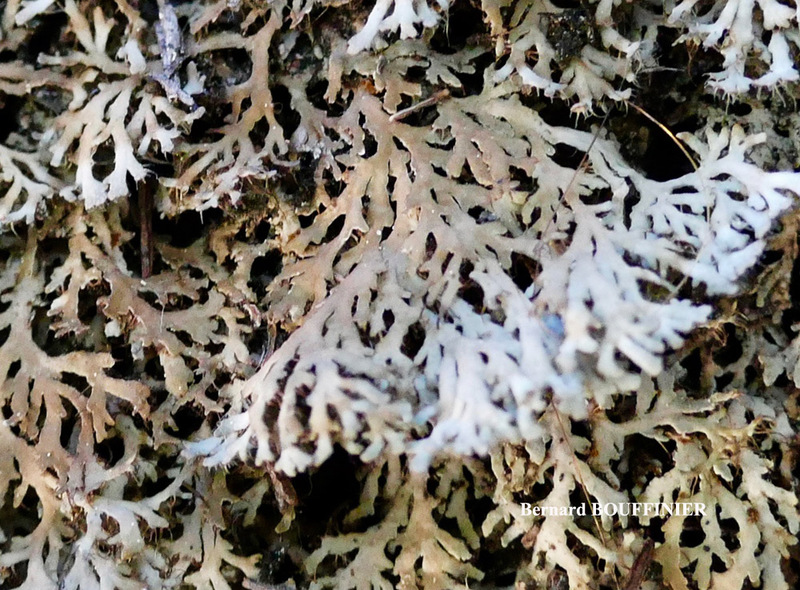 In Corsica this taxon is probably endemic (specimen presented here were photographed in Bonifato woodland where they thrive together with Degelia plumbea and Platismatia glauca and sometimes mixed with very similar thalli of Physconia venusta forma. N.B. Identification proposed here is provisional due to uncomplete analyses and similarities between Anaptychia, Physcia, Physconia and Heterodermia.